After breaking the resistance levels USD/CAD seems to start going sideways. I guess eventually it will go up again, so I feel like buying here. 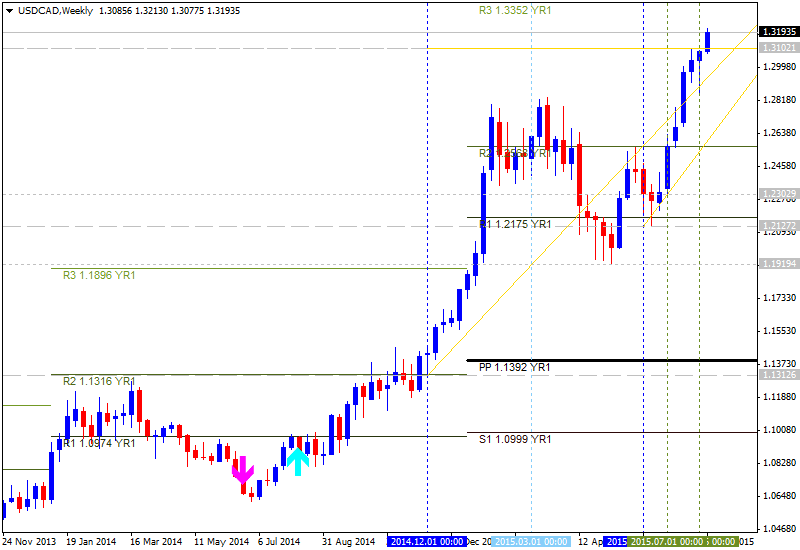 I'm going to start playing long at 1.2300 with target at 1.2345 and Stop-loss at 1.2260. The USD/CAD really continued to go up after side-way walk, and I thought 32 pips is enough for me here, because now it can start going down any moment. 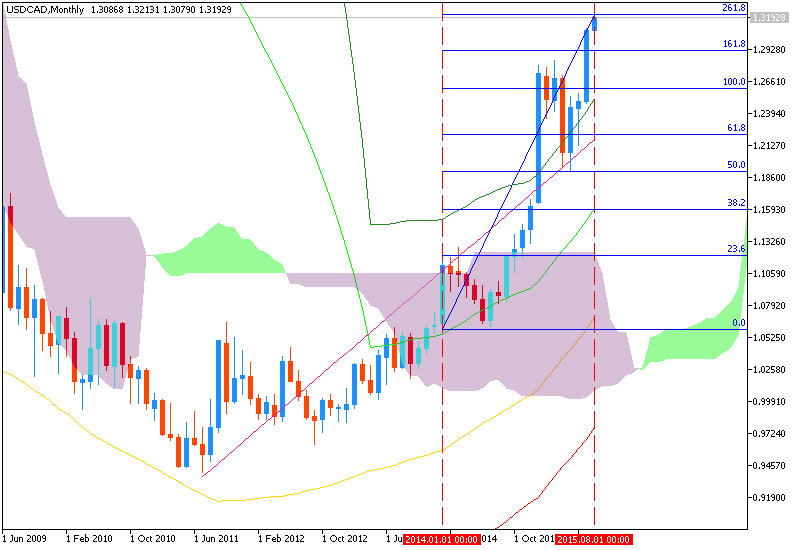 A strong resistance level is situated at 1.2565. I think, the price won't be able to break it soon. There is some sideways trend at this chart. So, you had better use only interday trading, not long-term. There is a slight upward trend here. I guess bulls have the initiative now, so buyngs are actual. The US Dollar continues to press upward against its Canadian counterpart, with hitting the highest levels in eleven years. Near-term resistance is at 1.3232, the 38.2% Fibonacci expansion, with a break above that on a daily closing basis exposing the 50% level at 1.3347. Alternatively, a turn below the 23.6% expansion at 1.3090 clears the way for a test of the 14.6% expansion at 1.3002. 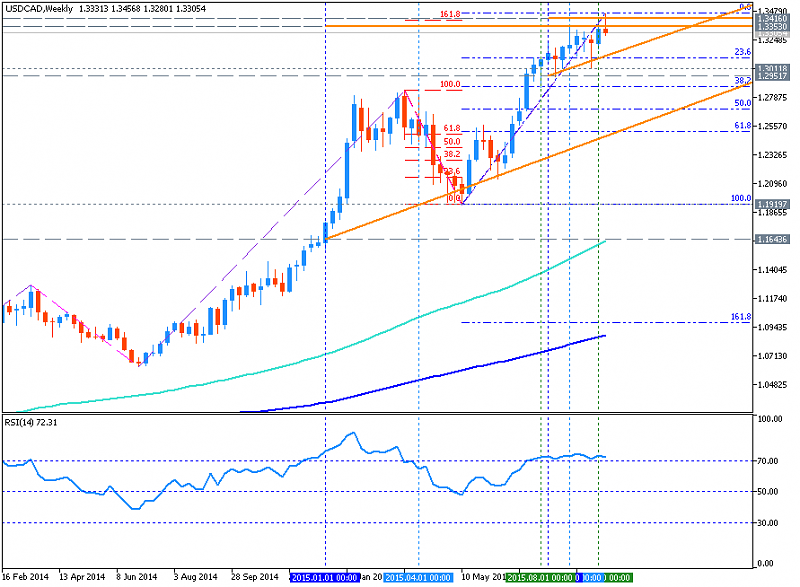 We entered long USDCAD at 1.2649and have since taken profit on half of the trade. The remainder of the position will remain in play to take advantage of any further on-coming gains. The stop-loss is now at the breakeven level. 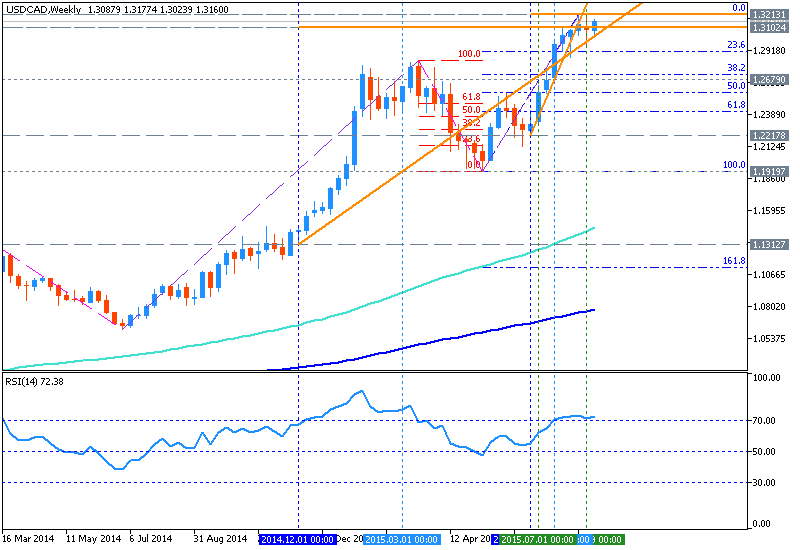 USD/CAD remains in consolidation mode below the recent 1.3212 multi-year high. Following the breakout last month above the 2009 high the broader technical outlook is generally favorable with a move through 1.3212 needed to break the current impasse and unlock a medium-term run higher towards the 61.8% retracement of the 2002 – 2007 decline near 1.3500. The setback from the high has been relatively tame thus far as the low end of a median line channel drawn from the May low has supported downside attempts well. A daily close below this level (currently at 1.3045) would be an early warning sign that the correction is gaining traction, but only a clear break of last week’s low at 1.2950 would turn the near-term technical picture more acutely negative for funds. Major resistance points to the upside being hit warning that Canadian strength could appear soon however, the level at 1.3465 is still higher favoring upside for now. When combined with analysis on USDollar, it is important to watch how the dollar index reacts to the March 13, 2015 high. If resistance is respected on both USDCAD and USDollar then a retest of the recent low around 1.3010/1.2950 zone is likely ahead. Additionally, a break below these levels could indicate a larger top has been put in on the late September move. 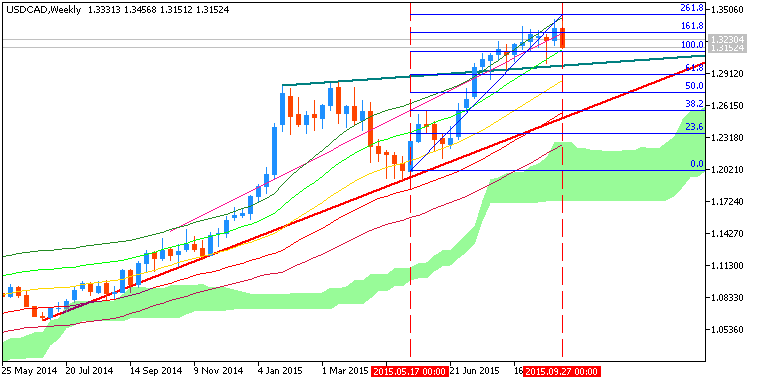 Short-term support currently sits at 1.3315. This level marks the end of a sideways consolidation on short-term charts before the most recent blast higher to 11-year highs and therefore can act as a technical ‘line in sand’ for us to build a bias upon. Should that level hold, recent resistance at 1.3465 (61.8% Fibonacci resistance of the 2002 – 2007 range) may be under threat in a break there would open up 1.36-1.38 zone. 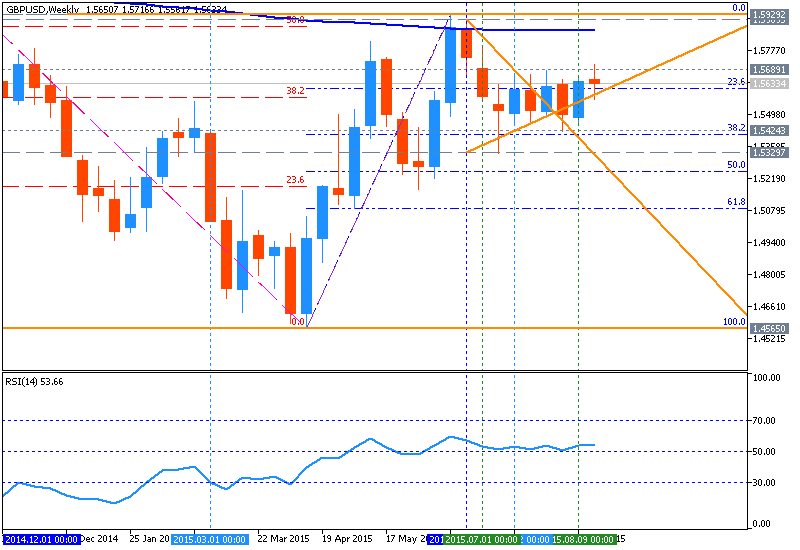 For confirmation, you can look to USOil and USDollar along with these levels. 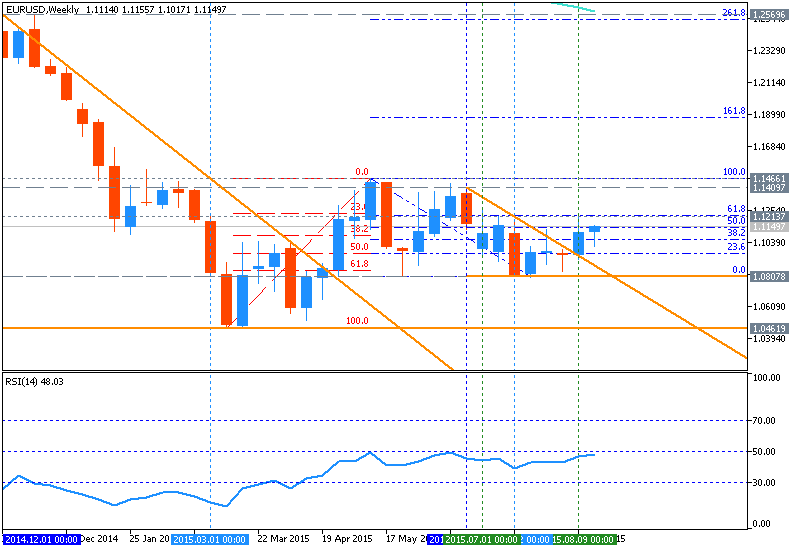 A break lower in USOil and higher in US dollar would likely accompany a break above the 1.3465 resistance. From a risk:reward perspective, this trade is too close to major resistance to favor new long exposure and there is not enough credible evidence to engage in a short trade. For now, I will be flat on USDCAD awaiting a test for 1.3315. A break of those levels, along with the corresponding confirmation in USOil and US dollar would cause me to scale into a short trade around 1.3300 targeting 1.2950. If 1.2950 is hit, stops would be taken to breakeven as a larger reversal could be underway. If 1.3315 holds as support, a ‘buy the dip’ mentality should continue to serve you well as the trend isn’t ready to retire. After printing at 11 year low, USDCAD is about to take out last week's low signaling a turnaround in the Loonie. In fact, a close below 1.3175 would set-up a bearish key week reversal, an ominous ending pattern on weekly candles. 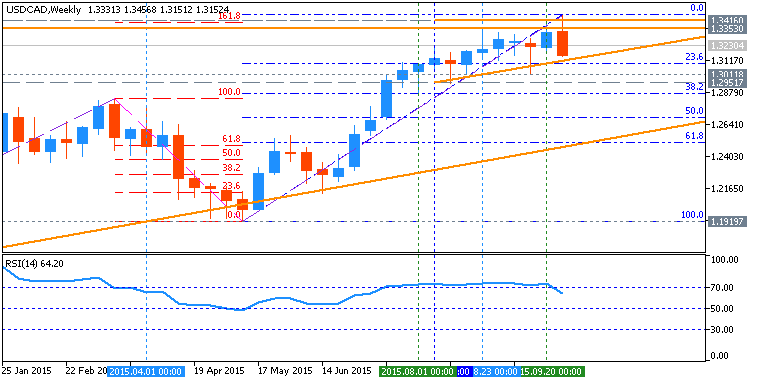 This incredibly strong trend looks to be wobbling and could retest recent support of 1.30 and 1.2950 on a confirmed. Many traders been excited about this because of oil'sdemise, but a break of those key levels will call into question the structural integrity of the uptrend and likely attract more sellers. The exact level of focus is 1.3012, the September low and recent low we saw that respected the 1.2950 previous low. The 1.2950 low came at multiple technical confluence points showing that the bounce respected the larger trend. Considering the follow through move off 1.2950 gave us 11-year highs it’s easy to see this as key resistance. We’re working on our 3rd lower day, which we have seen since the end of August. Focus now will be on 1.2950 where a break would significantly damage the immediate view higher. Given the larger US dollar view, a bounce around these levels followed by a break of short-term resistance would help validate the bullish continuation view. If we see a break and close below 1.2950 would open the door to start focusing on selling short term strength and looking for a deeper retracement. SSI shows that long positions have grown 46% over the last week, which may be an indication that a turn is coming as this number is aggressive. Lastly, the correlation of USOil and USDCAD continue to be inverse and worth focusing on. A break below $43.19 per barrel on US Oil would likely validate the push higher and USDCAD whereas a break above $49.49 would favor the contrarian view that a sustained push lower is upon us.